Today we are proud to announce a strategic partnership between Cervus and Spectra that will design, build and deliver world class analytics into the international Defence training and force development sectors. This partnership will greatly enhance Cervus’ Hive products and services through a significant improvement to the way analytics are contracted, developed and maintained. Hive employs an industry best practice approach in delivering data capture, storage and analysis for wargaming and Live Virtual Constructive (LVC) collective training analytics. This partnership will allow Hive users to tailor machine learning to specific requirements and focus areas, in turn providing results and insights in near real time. You can learn more about Hive here. Over the last 12 months we have been working to identify a world class provider of analytics and are therefore immensely excited that we now have this agreement. 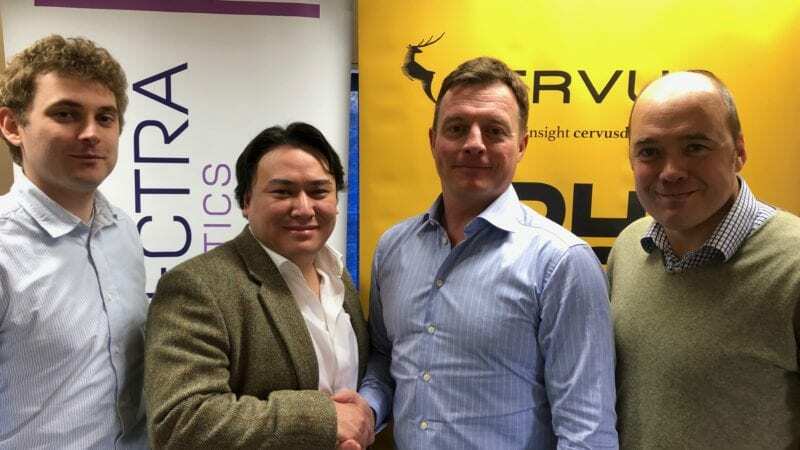 Spectra and Cervus share a similar agile mindset and we are thrilled to be able to deliver their expertise into the Defence market, through existing and future Hive users. We believe that this is a pivotal moment in our company’s continued growth and will transform defence training and experimentation. We are delighted to have forged such a special relationship with Cervus Defence. Their deep knowledge and expertise of military training and cutting-edge technology, combined with Spectra’s advanced analytics and first-class data science credentials, has already begun to revolutionise defence training. We have been very impressed by Cervus’ vision and commitment to innovation and believe that this will be an important step for both companies as they grow and develop. Cervus has operated since 2013 and was formed to exploit military and security training data to provide Defence with a comprehensive understanding of its operational performance. Using pioneering data capture systems, world class analytics and secure data storage solutions, Cervus provides services to exploit individual and collective training data. This powers insight and organisational understanding to secure advantage against increasingly complex threats. Spectra Analytics was established in 2014 by members of the Centre for Complexity Science at the University of Warwick. Their leading team of PhD Data Scientists enable organisations to extract actionable insights from their data through the application of cutting-edge statistical modelling and Artificial Intelligence / Machine Learning. Spectra work across a broad range of sectors from Defence and Healthcare to Transport, identifying opportunities and improving risk management and productivity. For further information please contact Alan Roan (Alan.roan@cervusdefence.com, +44(0) 7980222553.